From the stunning Golden Gate Bridge to spectacular views of the valley from Dolores Park, San Francisco is familiar to most. After all, the city has been featured in countless movies and TV shows. Touring with first time visitors including a rambunctious toddler, we came up with some highlights that helped us get a taste of the city. 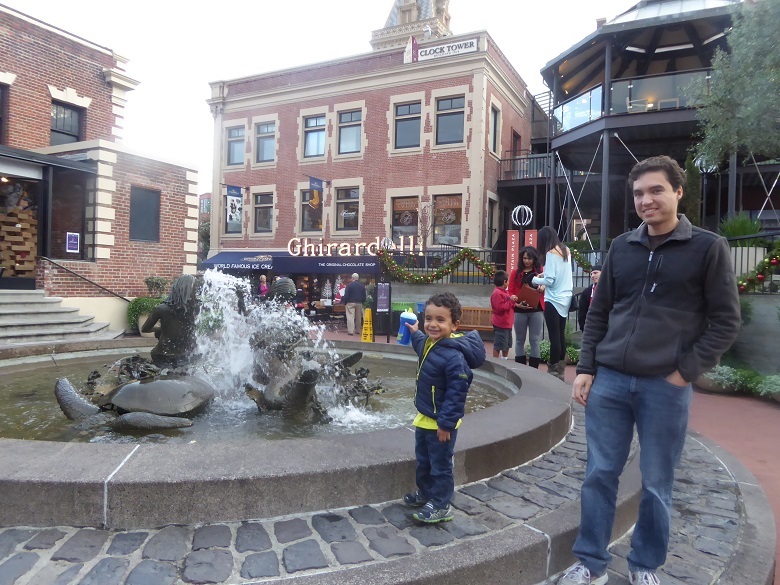 Scouting street art in the Mission district, tasting chocolates at Ghirardelli Square to finding the best views of the Golden gate bridge are a few of the ways to experience the San Francisco with toddlers that combines touristy must-dos along with local favorites. 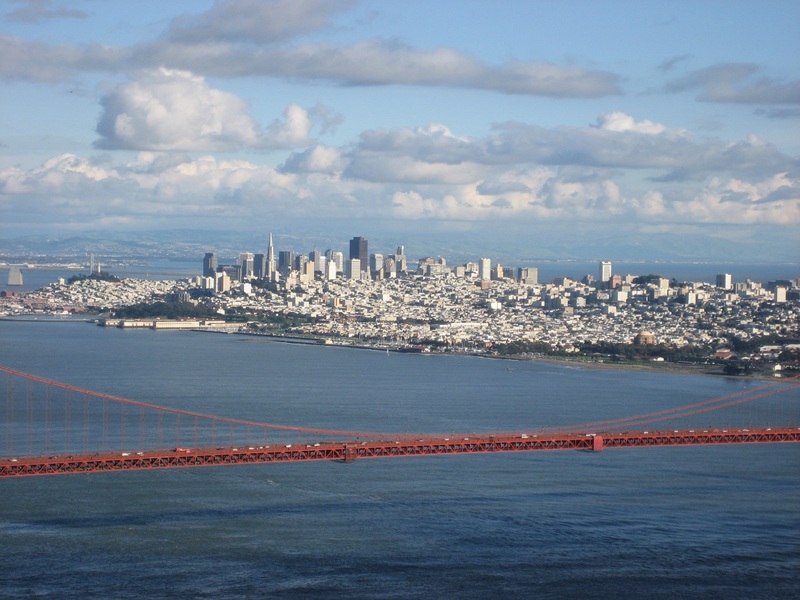 There is so much to do when you’re exploring a cosmopolitan city like San Francisco. It can be overwhelming, especially if you’re visiting San Francisco with toddlers in tow. Here are a few suggestions from our trip with our two and half year old son to inspire your itinerary for visiting San Francisco with a young child. Mission District is one of my favorite neighborhoods in San Francisco. It truly embodies the spirit of the diverse culture of the city. An apartment in this area was our home base during a trip to San Francisco last year with our toddler son. What to do: The best way to explore like a local is to go shopping at the neighborhood grocery stores, get take out or dine in at local restaurants and spend time in the neighborhood. 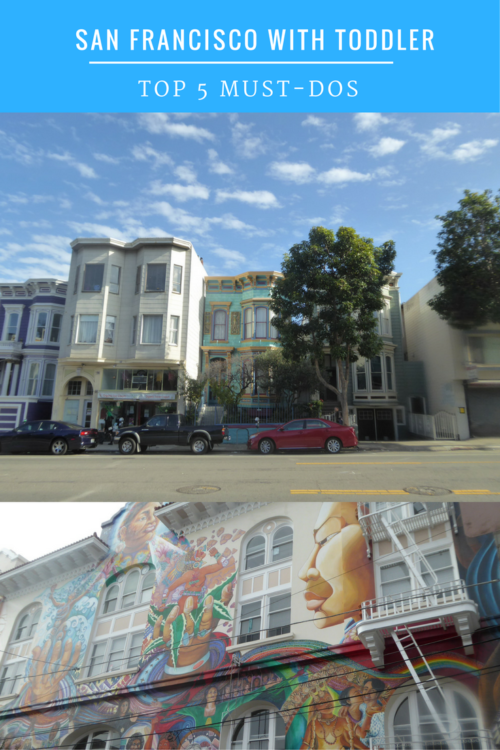 We enjoyed walking along Guerrero Streey, Mission Street, and Van Ness Avenue. The beautiful murals and graffiti as well as the colorful and decorative facades of houses were the highlight during our walks. Our toddler also loved looking out for the city buses that ran powered by overhead cables. The expansive and vibrant mural titled MaestraPeace on the Women’s Building is a must-see if you’re strolling through this area. Where to eat: We love sampling coffee and pastries when exploring new neighborhoods. Happily, the Mission had many great options. My sister, a coffee connoisseur, found her match at the local Philz coffee. If you’re new to the shop, the barista will ask your preferences and recommend a coffee type. If you’re looking for traditional French pastries, then a stop at Tartine Bakery. It is the best option but beware of long lines. Craftsman and Wolves, a trendy patisserie, was another great find for us. Try their specialty “the rebel,” a croissant with cheese, sausage and a soft cooked egg inside. Where to play: Our toddler loved being able to walk to the local park, Dolores Park, in the neighborhood. The children’s play area is complete with slides for kids of all ages. It is also a great place for a picnic and serves as a beautiful backdrop of the city for photos. 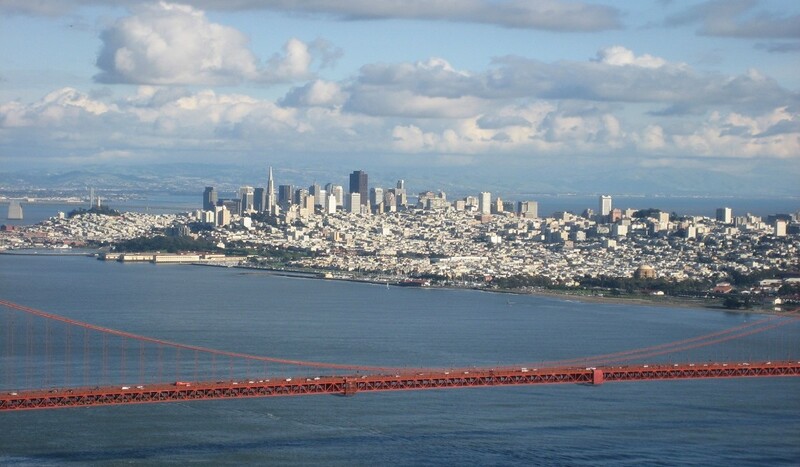 What to do: This is one of the most touristy things to do during your visit to San Francisco. But it has a lot to offer to young kids. Try watching sleeping seals by Pier 39, buying souvenirs and posing for photos with the famed cable cars at their final stop. A trip to Ghirardelli Square, factory store and café complex for Ghirardelli chocolates will be a welcome treat for the entire family. It may be crowded but there is seating available on multiple levels. It’s the perfect place to share an ice cream sundae or a sea salt caramel hot chocolate. What to do: The downtown area is always busy but if you’re keen to visit the hub of shopping it can be done. (Yes, even with kids.) Union Square is a public plaza surrounded by upscale shopping, restaurants and the theater district. Your kids can play and you can get a bite to eat and people watch. What to do: If you have a car, the best way to get stunning views of the Golden Gate Bridge and the surrounding wilderness is to drive up to the Marin headlands. It is about a half hour drive from the Mission district. While at the headlands, you can stop at the visitor center and have a picnic by a scenic spot. There are no food vendors so you will have to bring your own. We drove to several look out points and took in the magical views. Since we were parked by the winding roadside and close to the fenced cliffs, we made sure to pay close attention to our toddler. We didn’t want him to surprise us with an impromptu runs. Visiting close to sunset was the best way for us to capture the bridge and the surrounding city from above in perfect light. What to do: One of the easiest ways to experience the Golden Gate Bridge and thrill your toddler is to drive across it. We did just that and visited Sausalito. 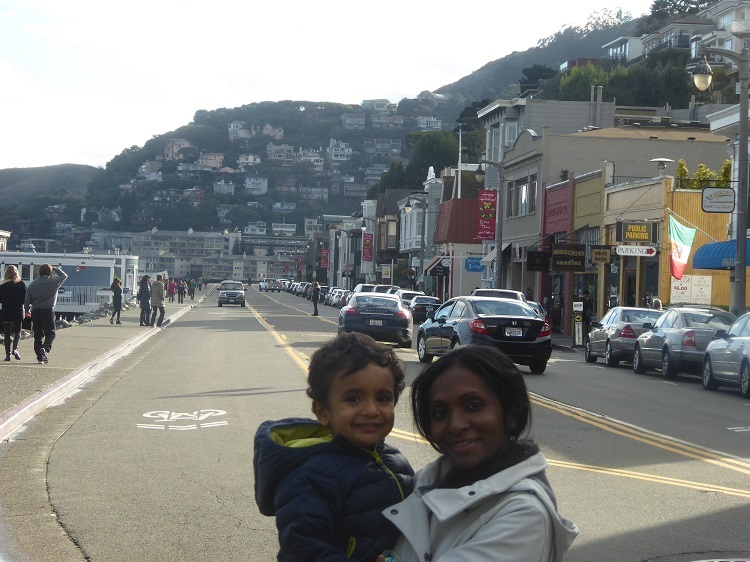 Sausalito is a beautiful old town with picturesque backdrop of houses nestled in the hills. You can easily do this the same time you visit the Marin Headlands. Perched alongside the San Francisco Bay, the city offers views of the hillside community on one side and the city across the water on the other. The downtown is a small area that spans a couple of blocks across the main road. You can easily take a walk with a toddler while stopping by several one of a kind local craft stores and eateries. If you’re comfortable navigating along winding streets, I recommend taking a drive up some of the by lanes leading up to the hilly neighborhoods in Sausalito. Then admire the storybook cottages and catch glimpses of the city from above. There was so much more that we didn’t get to do on this trip. Exploring Golden Gate Park is one of our must-dos for next time. As our toddler shows, even little ones can appreciate the diversity and excitement of this hilly city. 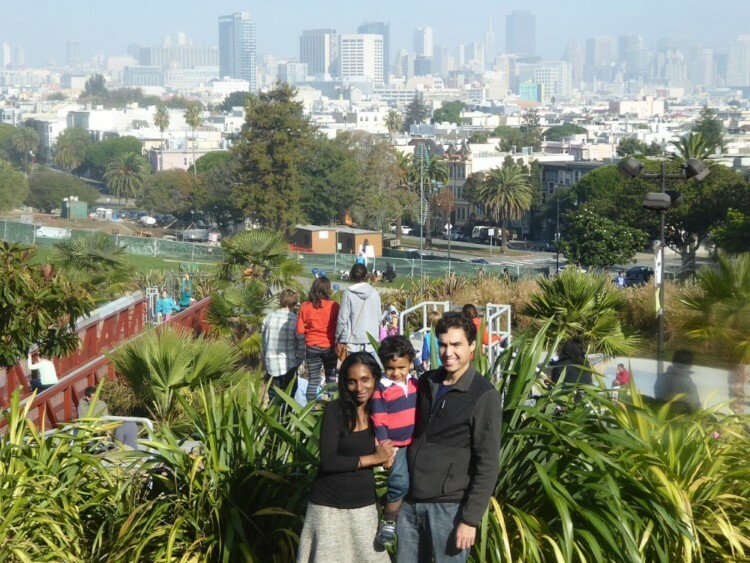 What are your favorite things to do in San Francisco with kids?